You’d expect a business whose tagline is Feeding the Mind, Nourishing the Soul to offer travel experiences that are as memorable as they are unique. 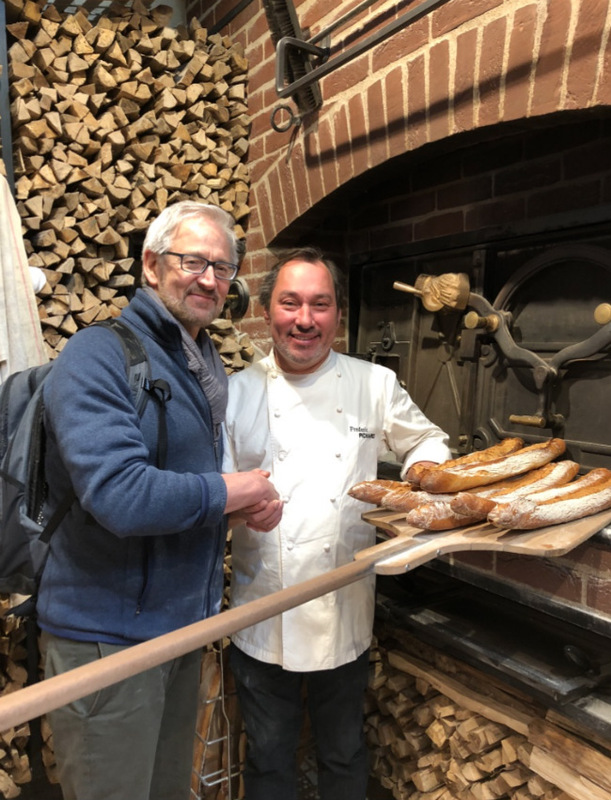 Recently, when the culinary tourism company Epicurean Exchange engaged me to lead a group of pain-o-vores on a bread trek through Paris, I jumped at the opportunity and couldn’t be happier that I had. Le pain français (French bread) is having a moment, so we spent one of our days in the French capital to see what all the fuss was about. 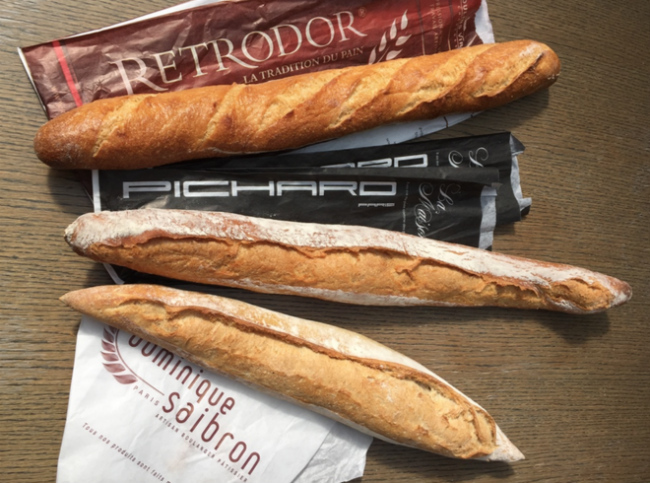 Bicycling through the side streets, we collected baguettes and other treats from some of the most reputable boulangeries (bread bakeries) of Paris. Gathered around the wooden farm table at our VRBO, I shared techniques used by bread judges and sensory scientists as we sampled and evaluated our breads. 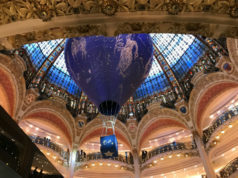 If an upcoming trip to France includes tasting your way through the Parisian bakery scene, pump up your palate with the take-aways of our tasting trek. 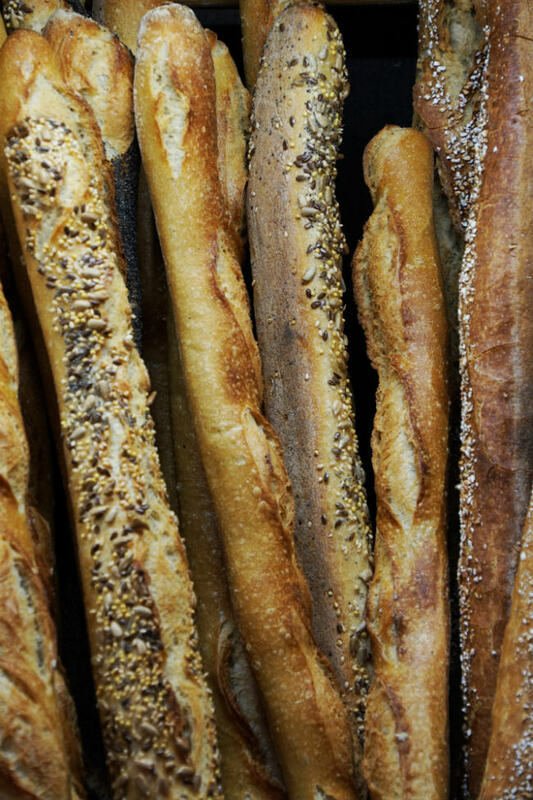 The term baguette means a long, wand-shaped bread. The traditional baguette contains only white flour, water, yeast, and salt. Three hundred grams (10 1/2 ounces) is the official weight for competition breads in the Coupe du Monde de la Boulangerie (World Cup for Bread Baking) but it’s more common to find a weight of 250 grams (almost 9 ounces) for sale in boulangeries. 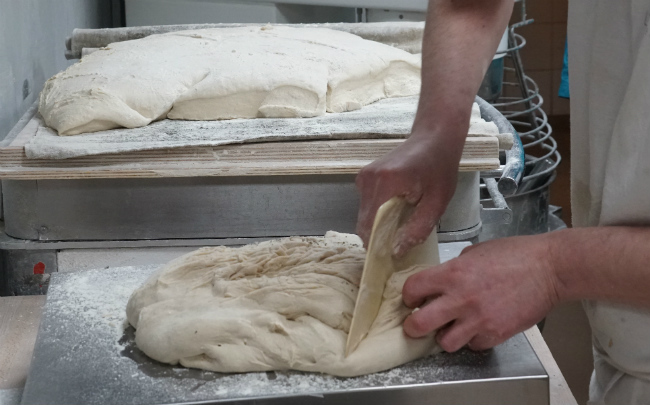 Industrial versions often weigh even less than that and pump the bread with more air by adding more yeast to the dough. Any way you slice it, there’s lots of crust and little crumb (the inside of the loaf) to a baguette. Ingredients such as milk, butter, and/or sugar make the bread more tender while adding to its aroma and flavor. This type of bread is called a Viennoise, a baguette look-alike with a scalloped surface of narrowly-spaced cuts. Sweeter than the baguette and softer to chew, it’s a creamier choice as a breakfast bread with dark French coffee, especially when spread with butter or jam. The Baguette Integrale is made from whole-ground grain, similar to the American whole wheat bread. Until recently, the literal term pain complet (complete bread) described the French whole wheat bread. With the recent trend of milling whole grains in smaller batches to retain the nutrients in the wheat, the more poetic term pain intégral has come into style. You will still find breads labeled pain complet but this term is relegated to spongy, pre-sliced breads wrapped in plastic on supermarket shelves. You may discover Baguette aux Céréales. This multi-grain version can include barley, oats, buckwheat, soy, and millet. Pain aux céréales breads are more frequently baked in a boule (round) because this shape maximizes the keeping qualities of the bread. However, you may find a baguette aux céréales offered as a pain de fantaisie (a sort of baker’s choice or bread of the day) in a boulangerie of quality. Spread with preserves, the pain aux céréales takes the iconic peanut butter and jelly sandwich to ethereal heights. Le pain BIO, abbreviating the moniker Le Pain Biologique, is comparable to the United States’s organic label. 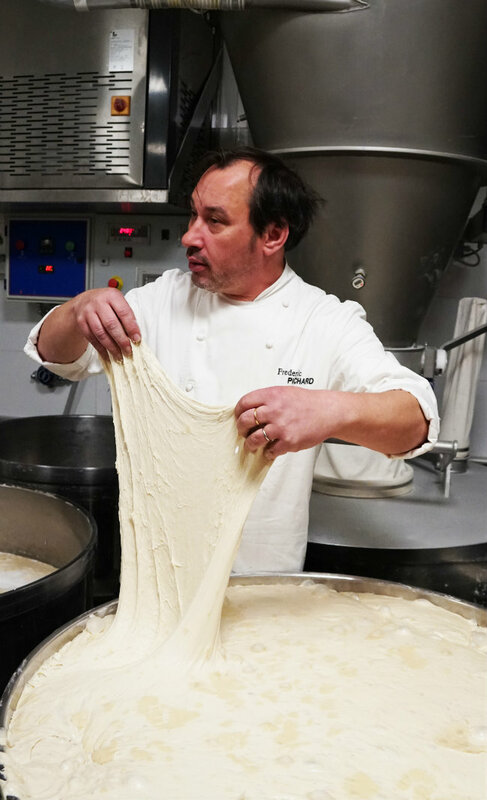 Watchdogs require that bio breads be mixed on separate machinery at the boulangerie, fermented in a dedicated area so they are not contaminated by commercial yeast, and handled with tools dedicated to the organic dough. Flours used for les pains bio must be stone-ground instead of being processed with the more common and less costly steel rollers. Pain biologique must use natural wild yeast cultures, like the sourdough starter of San Francisco Bay Area breads. The use of pre-packaged commercial yeast (baker’s yeast) is prohibited. This takes us to the final category the French use in naming their baked goods– the method of fermentation. The aroma and flavor of a Baguette is created by the boulanger during the dough’s rising phase, la fermentation. During fermentation, yeast creates carbon dioxide bubbles inside the bread. Simultaneously, bacteria in the flour and in the yeast starter create lactic acid in the dough, like the acid found in a chewy, buttery Chardonnay wine. The first gives the baked bread its open, airy texture; the second gives bread a deeper, richer aroma and flavor. As with wine, changing the fermentation of the dough creates different flavors as the bread bakes. Quality baguettes can ferment from 8 to 24 hours at a cool temperature. The industrial baguette contains more yeast, so it ferments faster and results in a puffier, less tasty baguette. To appreciate the flavor difference between these two types of baguettes, consider this analogy: Imagine the flavor, color, and bouquet found in a Beaujolais Nouveau wine available 6 weeks after pressing. Now imagine the complex sensory pleasures of a vintage Beaujolais Villages made from similar Gamay grapes but fermented with more tannins and bottled for up to three years. In the 1950s, mechanization of bread production eliminated the slow overnight fermentation of the dough. The flavor and chew of the baguette suffered greatly, earning the industrialized baguette descriptions like “tasteless and odorless monstrosity” and “a food not fit for humans”. Seeking to reinstate bread to its former culinary glory, the French government issued Le Décret Pain de 1993 on September 13th. This Bread Decree required that it be made using the original methods based on slow, cool fermentation. According to bread historian Stephen Kaplan, la baguette de tradition française (the traditional French loaf) would emulate the breads made in the 1930s, when the baguette had reached its peak. The government ruled that only bakers who use proper flour and knead their own dough can call themselves boulangers (bread bakers). The decree reflects French seriousness about food in general and about bread in particular. The baguette de tradition has an uneven, hand-crafted look, often with tapered ends. A lesser quality baguette has a uniform shape and a puffy, inflated look. Crust color indicates aroma complexity. The traditional baguette displays a range of warm tones from gold to deep red to darkest brown. It has a range of aromas to match. On the other hand, the uniformly light brown crust of the industrial baguette promises a simple, one-note aroma. Slice the baguette lengthwise with a serrated bread knife and look closely at its crumb (the inside of the bread). The air cells are the memory of fermentation bubbles in the dough. Slow rising in the traditional baguette creates different sized air cells that are randomly distributed throughout the bread. On the other hand, quick-rising yeast leaves lots of small holes, evenly distributed in the commercial version. The color of the crumb speaks to the quality of the flour. The more cream-colored the interior, the better the flour. A quality baguette does not have a white crumb. Connoisseurs exhale a deep and generous breath onto the crust just prior to smelling it–heat unlocks the bread’s aroma. Both baguettes have a note of toasted cereal but the baguette de tradition delivers more notes like nutty and caramel. Now’s the time to chew the bread. The traditional baguette balances the tender chew of the crumb with the crunchy bite of the crust. The experience recalls al dente pasta– firm to bite yet tender to chew. Beware the leathery crust and spongy interior of a poor quality imitation. While chewing the baguette de tradition, flavor notes of nutty, butter, and caramel fill your mouth and nasal cavity– almost your whole head. There is only the slightest yeasty note. The taste is almost sweet. The industrial baguette offers little nuance of flavor. Perhaps the truest test of quality is how the baguette enhances the other foods with which it is paired. Try this test by pairing the two baguettes with your favorite cheese. The flavor of the industrial baguette fades into the background, easily succumbing to stronger flavors of the cheese. A high quality baguette allows the flavors of the cheese to shine yet provides textural support with toasty, nutty, and even caramel notes. 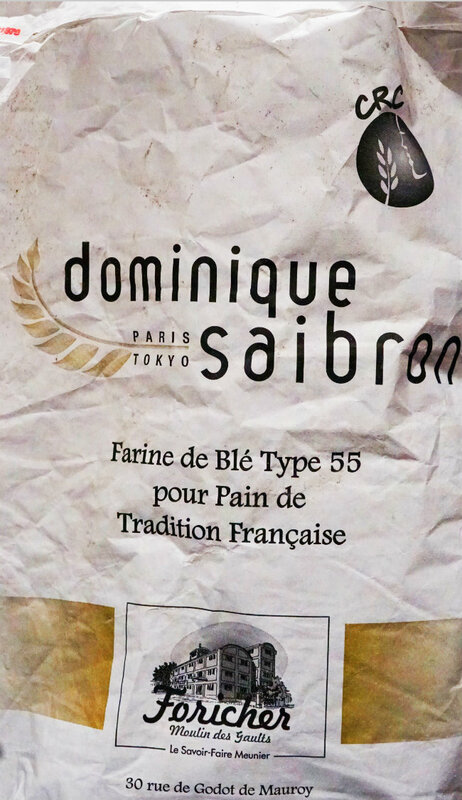 Dominique Saibron has created a boulangerie empire in Paris and Tokyo. His flour, Type 55, is key to an airy baguette with a crisp exterior and is specially ground to his specifications. Even more intrinsic to his success is the signature yeast culture that he perfumes with honey and spices. His baguette has an almost haunting aroma, especially when heated. 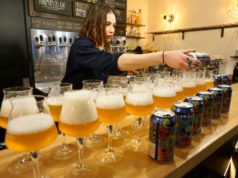 Pichard is a master of fermentation art. 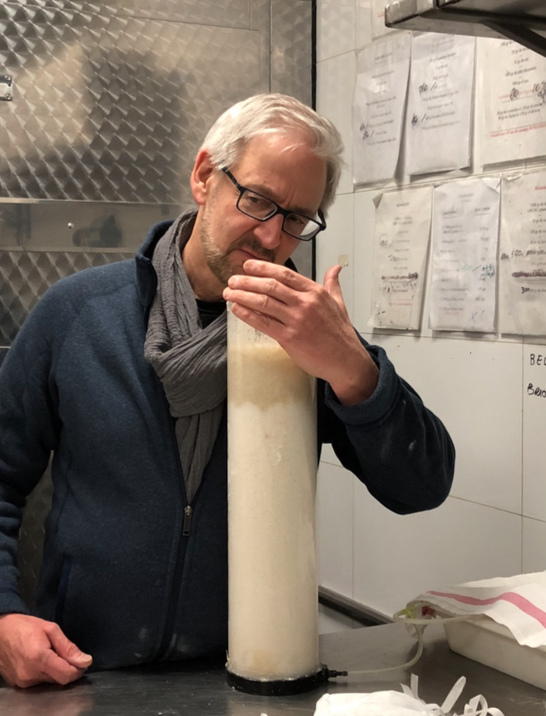 In son laboratoire (his bakery kitchen) below his retail shop, he experiments continually with wild yeast mixtures that bubble and seethe in controlled vats and cylinders. 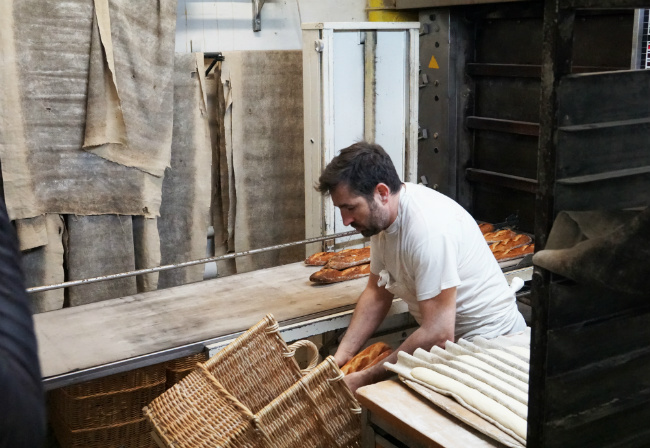 He strives to develop a yeast flavor that is subtle, allowing the full flavor of the grain to speak for the baguette. 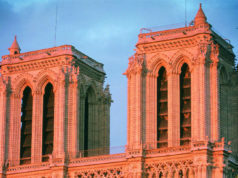 Winning the Best Pain Bio in Paris award for 2012 speaks to his success in achieving his goals. M. Maeder won the Meilleur Baguette de Paris (Best Baguette in Paris) award in 2000 and 2002. 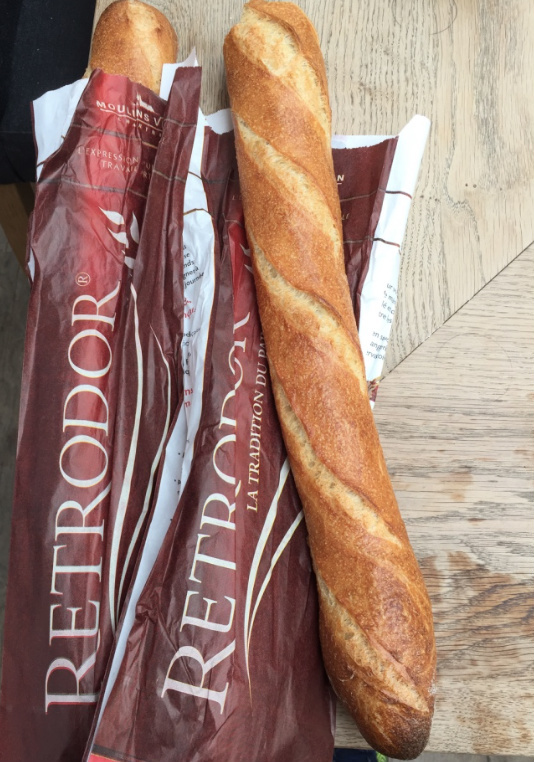 He offers a special version of the baguette de tradition called the Retrodor baguette. His flour is milled near Chartres in the Beauce Valley between the Seine and Loire rivers, considered the breadbasket of France. Because the wheat is directly traceable from local farms to miller to boulanger, the Retrodor is considered by many the ne plus ultra of the baguette world. You are officially a connoisseur la baguette de tradition. You may enjoy the rest of your bread and cheese! 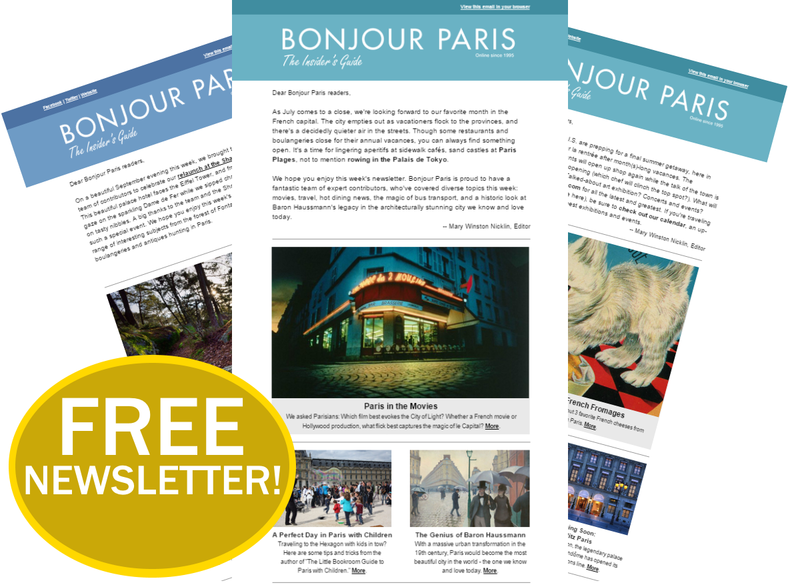 Epicurean Exchange offers their Paris Bread & Pastry Tour each May. Visit www.EpicureanExchange.com for more about their portfolio of culinary explorations. Dawn Dailey, who took some of the photos featured in this article, is a travel photographer and author. Connect with her at dawndailey.org, Facebook, and Instagram. 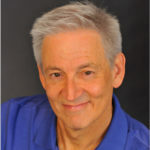 Michael Kalanty is an award-winning author, baker, and sensory scientist. He holds the patent for "The Aroma & Flavor Chart for Bread." 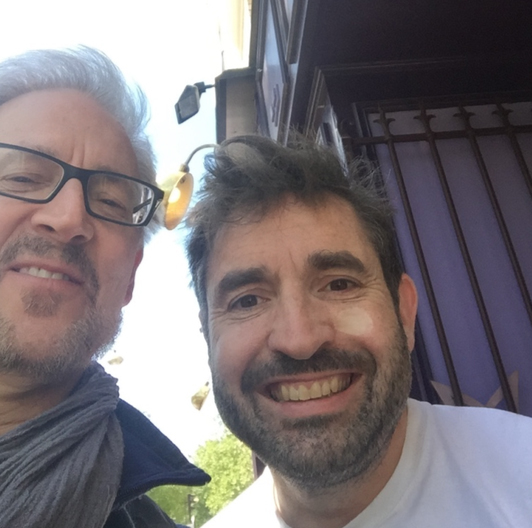 His first book, "How To Bake Bread: The Five Families of Bread," won the Gourmand International Award at the Paris Cookbook Fair (2011) for “Best Bread Book in the World”. Thanks for the kudos and for the other recommendations. I appreciate your taking time to post. I had to limit myself to three bakeries for space reasons. More importantly, though, I wanted to highlight the bakers who are on the cutting edge of bread technology–the bakers who offer stellar breads but are constantly working behind the scenes to improve not just their bread but the breads of all boulangers. I would also like to recommend Anthony Bosson’s boulangerie L’essentiel in the 13th. His bread is delicious. Thanks for the recommendation. I will make sure to visit on my next visit. Great article! Takes me back to Paris, where a baguette, some cheese, some charcuterie and wine are a spectacular meal in themselves. Thank you for your post. I especially appreciate the flourish with which you recommend Aux Pains de Manon. I’ve put it on my next for next visit. Merci, Dan. I appreciate the thumbs up!